This week 11 African countries were represented by 14 partners at the IMPALA meetings in Durban, South Africa alongside UK colleagues. The meetings at The Coastlands Hotel were put together to facilitate discussion between Investigators, PhD candidates and Post-Doctoral Research Associates and have achieved three key objectives. 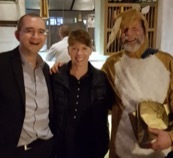 Firstly, to Pre-finalise Phase 1 research protocols, secondly to achieve clarity on IMPALA management principles and contractual requirements, thirdly to allow the PhD Students to present their Defence of Concepts. 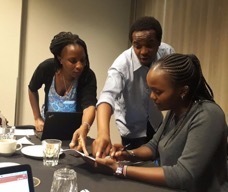 PhD students Irene Ayakaka, Martin Njoroge and Wanjiku Kagima discuss maternal malnutrition effects on the lung health of babies. For the first time, the PATS MECOR course has been brought under the umbrella of IMPALA and run concurrently with the IMPALA meetings at the Coastlands Hotel, bringing together around 40 students and faculty members. 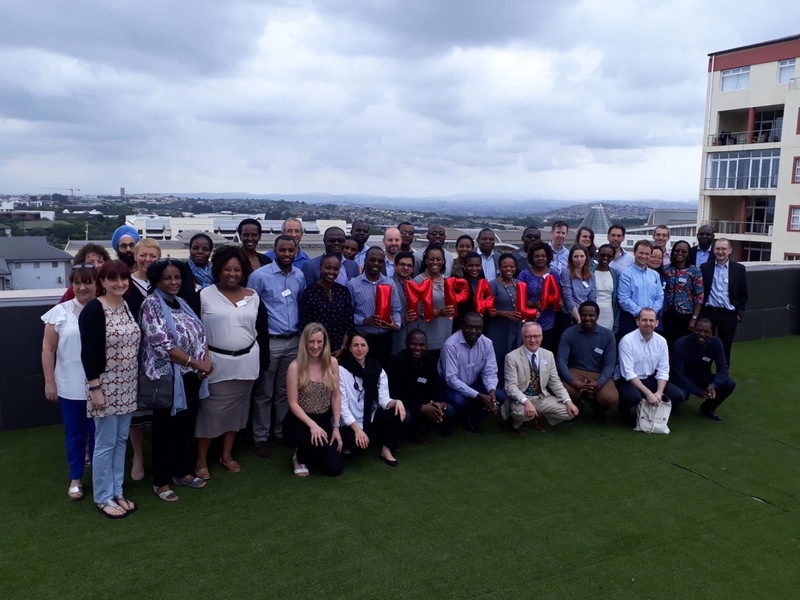 PATS-MECOR is a 1-week course which provides intensive training to strengthen skills and build capacity for clinical and epidemiological research in lung health in Africa.